What's the most important thing you see when you look in the mirror? 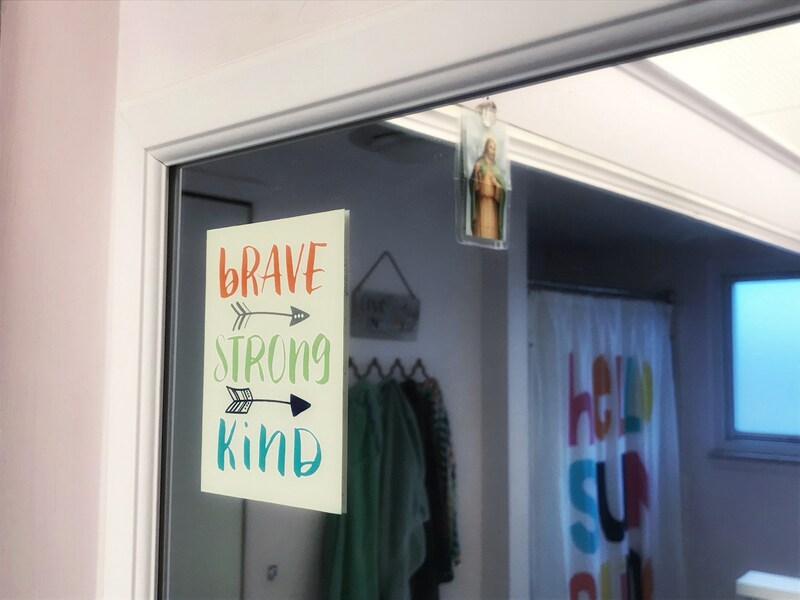 These mirror clings serve as a beautiful reminder that our most precious identity is a beloved of God. We are made in His image - fearfully and wonderfully made. 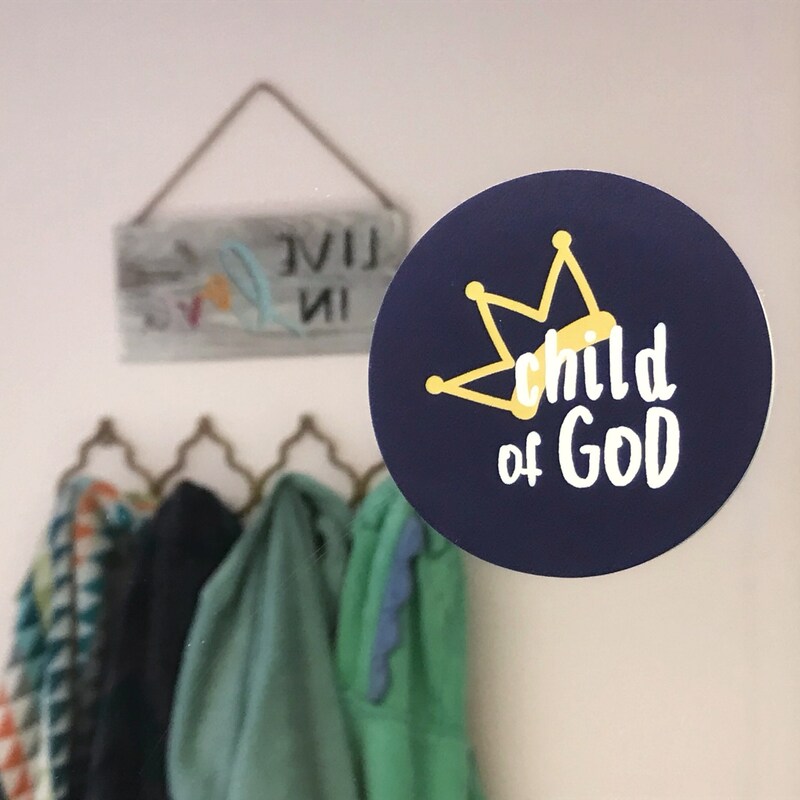 We are a child of God - brave, strong, and kind. 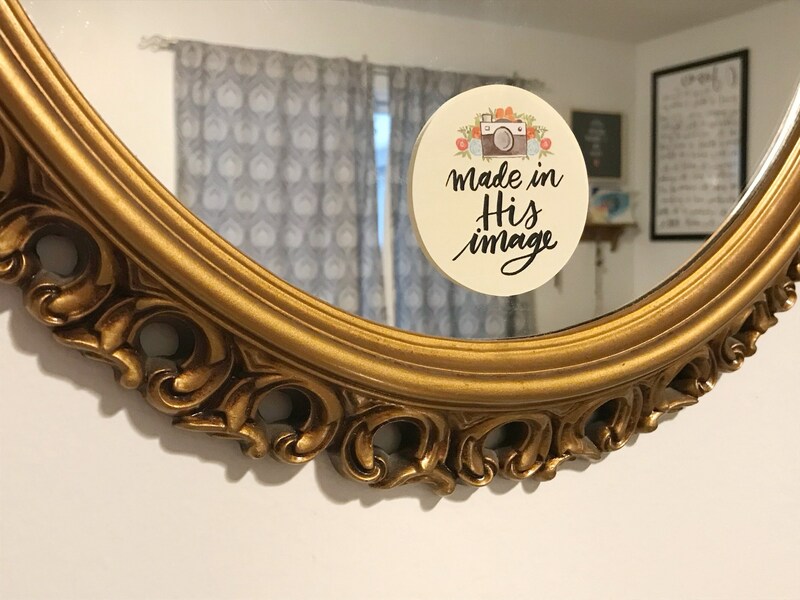 Mirror clings are available in a 2-pack or 4-pack. 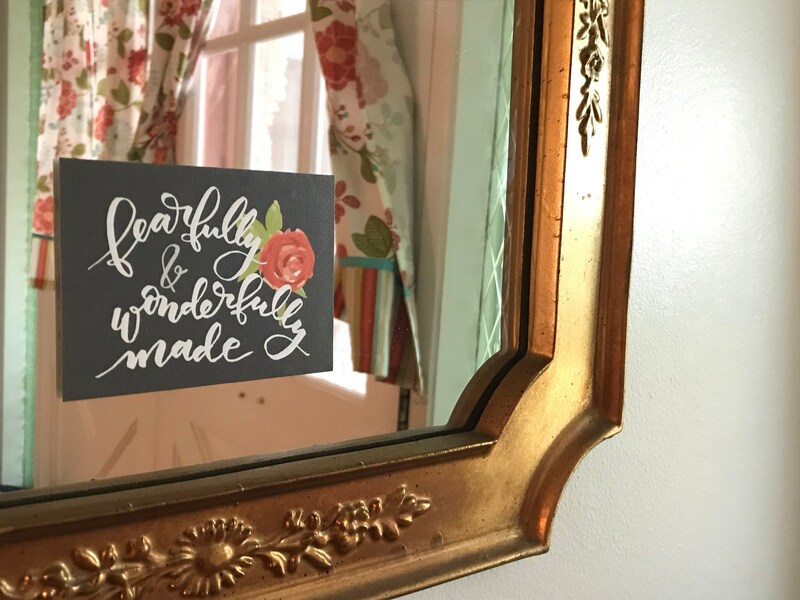 The "Made 2-pack" includes the Fearfully & Wonderfully Made and Made in His Image clings. 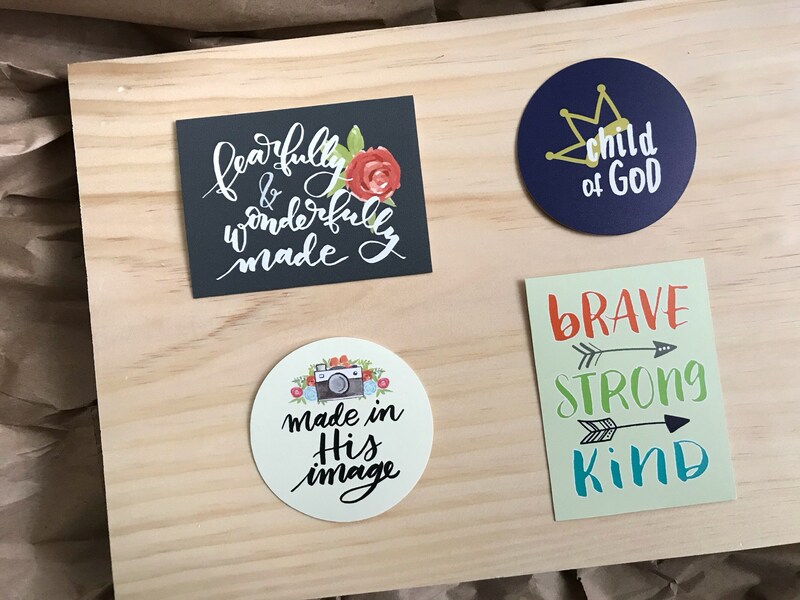 The "Brave/Child 2-pack" includes the Child of God & Brave/Strong/Kind clings. The 4-pack includes one of each cling. Decals are, 100% waterproof, but recommended for indoor use due to being static cling.